River & Green have been designing bespoke sporting holidays in Scotland for the last 7 years and in the course of our work we have developed working relationships with estates and agents both in Scotland and around the world. Out of one of these relationships there has arisen an exciting opportunity for some spring shooting in Russia. In collaboration with Britannia Sporting Ltd. , River & Green are proud to present a unique opportunity to experience at first hand the rich traditions of Russian shooting. 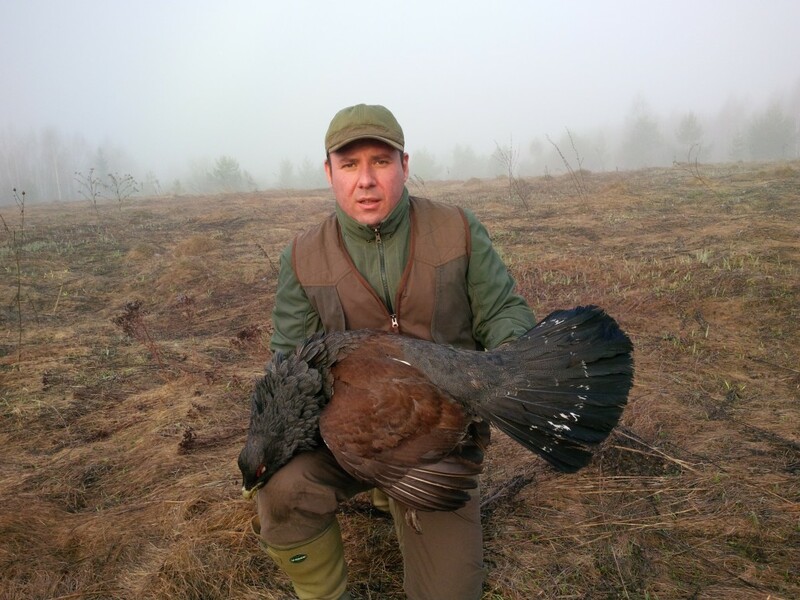 An 8 day, all inclusive, fully accompanied trip which will take you to the Kirov region, 600 miles east of Moscow, for 5 full days of spring season shooting in the traditional Russian manner for Capercaillie, Black Grouse and Woodcock. Accommodation will be in a modern, fully equipped hunting lodge; a self contained, traditional wood built complex, which will accommodate our group in comfort. Facilities include wood burning stoves, a drying room for clothing, a barbecue area, ideal for preparing ‘shashliki’ (Russian kebabs) as well as a Banya (Russian sauna), which is an experience not to be missed! A chef will prepare three meals each day for all guests. All the meals served will give you anopportunity to try the very best of traditional Russian cuisine featuring a range of meats, fish, poultry, game, mushrooms, berries, breads, pancakes, cereals, beer and, of course, vodka. £2,000 per Gun, to include one Capercaillie, one Black Grouse and one Woodcock. Full Terms & Conditions for booking and payment available on request. announced shortly before its start. A degree of flexibility will therefore be required in booking flights/time off work.